Windy with a mix of clouds and sun. Slight chance of a rain shower. High 61F. 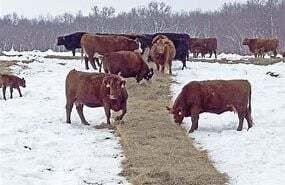 Winds NW at 25 to 35 mph..
Hay supplies diminished at an alarming pace this winter as harsh weather conditions increased the hay needed to keep the beef herd on an adequate nutritional level. Recent weather conditions indicate it will be a late start for grass growth in the pasture. Many estimate it might be close to the end of May before pastures can be grazed. Now is the time to take an inventory of your hay supply and figure what you will need before your grazing season begins, both in terms of the quantity and quality of the roughage you will be feeding. 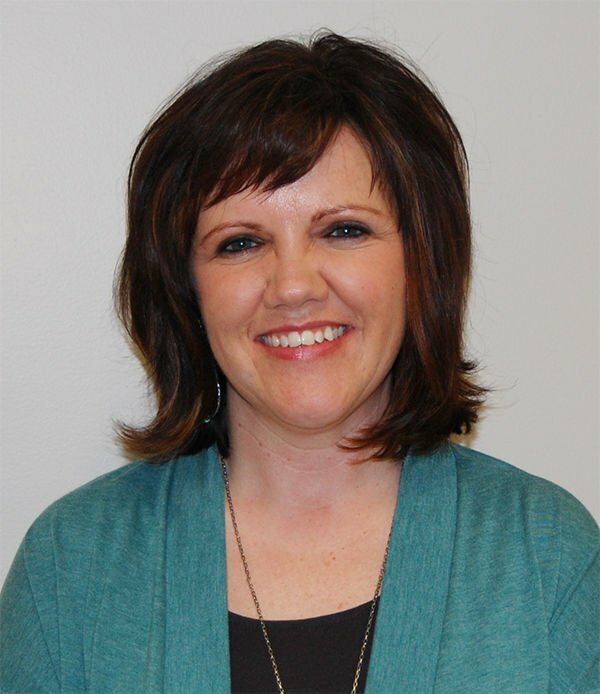 In a recent webinar by the NDSU Extension Service on cold-weather cattle management, Janna Block of the Hettinger Research Extension Center, listed some tips for determining forage needs before the cows are turned out to pasture and ways a producer can stretch the roughage supply. Things to consider include the quality and quantity of the base diet, and also a nutrient analysis of the feed so you know what you are dealing with, Block said. In making the calculations, producers also need to know stage of production the herd is in – whether the cows are dry, in the last stages of gestation, or lactating. For example, a lactating 1,400-pound cow will consume 30.8 lbs. of low-quality forage (1,400 x 0.022 =30.8) but that same cow will consume 37.8 lbs. of high-quality forage (1,400 x 0.027 =37.8). This shows a cow is able to consume more forage as the quality of the forage increases. “Understanding the quality of your forage is helpful and this is helpful when looking at your hay inventory and trying to figure out what the forage intake should be based on quality,” Block said. In her presentation, she also mentioned a term – the lower critical temperature (LCT), which is the temperature below which a cow must utilize energy to maintain body heat. In a mature cow it ranges from 32° F for a cow with a dry winter coat to as low as 18° F if the cow has a heavy, dry winter coat. This shows that as temperatures decline, the maintenance requirements increase. In fact, there needs to be a 1 percent increase in TDN for every degree below the LCT. Therefore, on a day when it is 0° F air temperature and a 20-mph wind, the wind chill index (WCI) is minus 39. The difference between 18 F and -39 WCI is 57, which means that cow is going to need 57 percent more TDN. To carry that a step further in determining energy needed – feeding hay containing 55 percent TDN would require that the 1,400-pound cow would need to eat 50.2 lbs. of hay on a dry matter basis or 3.6 percent of her bodyweight. That likely isn’t possible, she noted, on a strictly forage-base diet, so some other way is needed to meet the maintenance requirements, such as providing higher quality forage, grain or by-products. Also feed thin and young cows separately and provide windbreaks or shelter. Finally, since feeding increases the rate of fermentation in the rumen, if possible, feed late in the afternoon or early evening and that will provide the greatest fermentation activity in the cows during the night, which is generally the coldest part of the day. Hay waste also needs to be considered when determining how much forage a producer will need to finish out the feeding season. Rolling out round bales can result in as much as 20-40 percent waste. This can be reduced by running the bales through a bale processor, which decreases particle size but increases passage rate and a cow’s intake. Hay feeders can also be incorporated into the feeding system using three common methods – a cone feeder, which typically has a 3.5 percent loss; a bale ring with 6.1 percent loss and trailer feeding that averages 11.4 percent loss. Average BW X percent BW consumed X percent waste = lbs./cow/day needed. Using a 1,400-lb. cow X 0.025 X 1.25 = 43.75 lbs./cow/day. If you are looking at a possible 60-day feeding period that means 2,625 lbs./cow. The bale weight and dry matter percent of the hay then enters the calculations – if the average bale weight is 1,300 x 0.9 dry matter = 1,170 lbs. DM per bale and 2,625 lbs. needed by the cow divided by 1,170 lbs. DM per bale = 2.2 bales per cow will be needed in this case until grazing time. Each producer’s situation will vary, but the basic calculation steps are the same, just different data used. Block’s presentation was a part of an hour-long webinar featuring cold-weather cattle management and the webinar is available at: https://www.ag.ndsu.edu/extension/livestock.